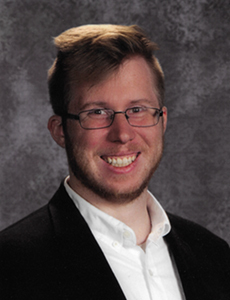 Seth Burk: Bio & Choral Music | Santa Barbara Music Publishing, Inc.
Seth Burk is a choir director for Holt Public Schools in Holt, Michigan. A graduate of Michigan State University with degrees in Music Composition and Music Education, Seth has led choirs both in public schools and in his community. In addition to his work with choral music, Seth is active in musical theatre as a music director and songwriter. Seth Burk has 1 titles published with Santa Barbara.